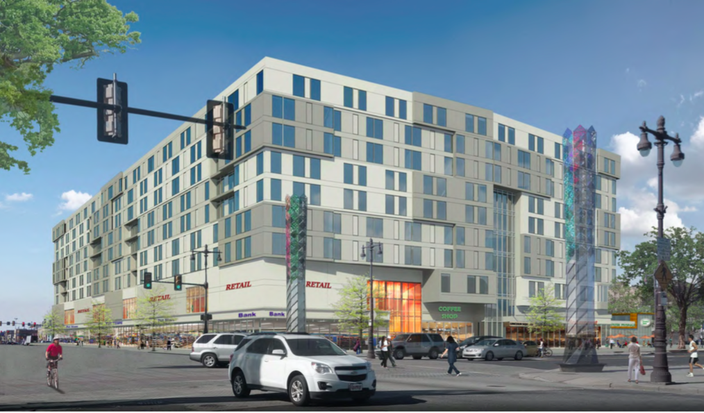 The Lincoln Square project proposed at Broad Street and Washington Avenue is picking up steam as it prepares to undergo the Civic Design Review process on Nov. 1. Introduced last March, the mixed-use project immediately stood in contrast to Bart Blatstein's megaproject proposed for the other side of the road. Local residents and city officials showed enthusiasm for Lincoln Square after preliminary renderings of the building, designed by BLT Architects, depicted an eight-story complex with a ground-level public walkway, 23,000 square feet of vegetated green roof and a great view of Center City from a three-story parking garage. Rendering of Lincoln Square proposal at Broad and Washington. 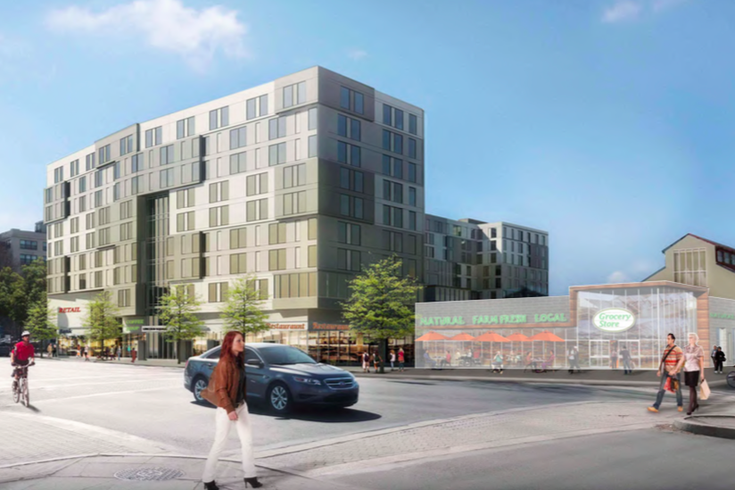 The $100 million proposal from Alterra Property Group and MIS Capital calls for 356 apartments and 74,000 feet of retail space, including a supermarket and a public walkway joining Broad and 15th streets. The project would also preserve a 19th-century rail shed that once was a pit stop for Abraham Lincoln's body after his assassination. Last week, BLT Architects released a quick teaser video about Lincoln Square. The materiality of the Lincoln Square Mixed Use project will be a composition of materials that we believe, when assembled together in the proposed project, will offer a sophisticated, contemporary and rich aesthetic that will complement the aesthetics of both the avenue of the arts extending north along Broad and the industrial uses that have been dominant along Washington throughout the neighborhood’s history. 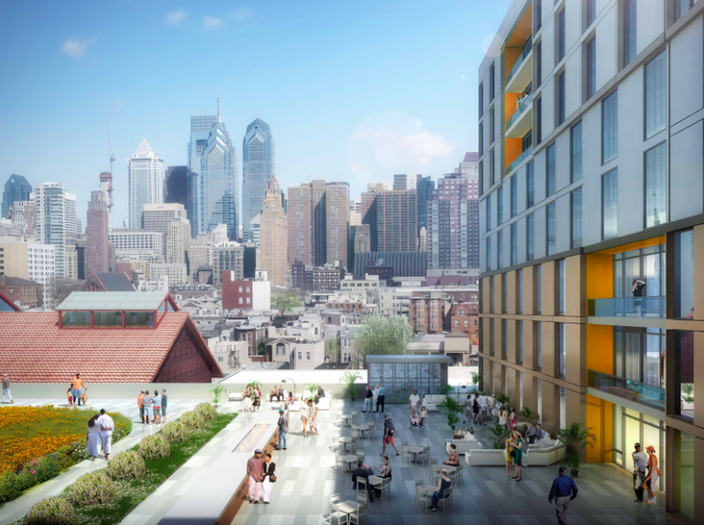 Alterra has several other properties throughout Philadelphia, including the Avenir apartments on South 15th Street, the Icon at 1616 Walnut St. and the Shirt Corner apartments at Third and Market streets. If the Civic Design Review process and any outstanding zoning issues move according to a suggested timeline, the project could begin construction in March 2017.